New to the chastity world is our punishment pin system. This system can be added as an option for most of our models. The system is easy to use. Simply put on the base ring slip on the chastity and begin to engage the locking post and ring. Extra base rings can be purchased for Mature Metal devices. If you are ordering a device and would like an extra ring of a different size simply add to your order. You can add as many rings as you would like. You will need to return your device to use so we can ensure we get the fit right. Mature Metal now offers a high-security screw for your new stainless steel chastity device. The screws are stainless but the keys are regular steel. 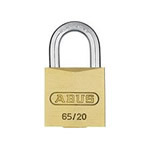 All items are specifically built for the ABUS lock. This brand and model of padlock is extra corrosion and rust resistant, to ensure that the lock has as much of a long life as the device you’re locked on. If you are unsure as to what size to order we have new plastic sizing rings. The plastic sizing rings are round not oval but you will get the same accurate measurement. They are the same thickness as the rings that come on the cage. The plastic ring sets are yours to keep.